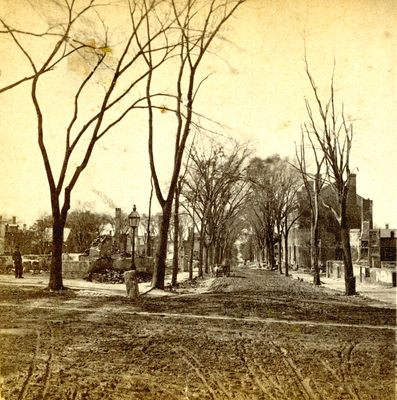 "Pearl Street, looking west from Congress Street." Pearl Street, looking west from Congress Street. View of northwestbound Pearl Street, from Congress Street. "Pearl Street, looking west from Congress Street." (1866). The Great Fire : 1866 - Stereoscopic views. 28. Portland, Me., Great Fire, Portland, Me., 1866, Bayside, Pearl Street.